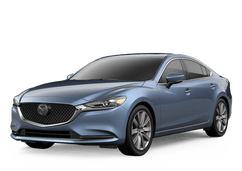 Between Mazda and our dealership, Hall Mazda of Brookfield always has special offers that you can take advantage of right here in Brookfield. With our vast Certified Pre-owned Mazda inventory at Hall Mazda of Brookfield, you can get a pre-owned Mazda with all the benefits of a factory warranty. Getting the service that your Mazda needs is easy when you count on the knowledgeable and experienced service team at Hall Mazda of Brookfield. I dealt with Mike Miroslaw at Hall Volkswagen. The whole experience was quick and easy. He was very helpful and honest. We purchased new 2018 Tiguan and got the best price when compared to Wisconsin and Chicago area dealers. I would highly recommend them. I live in northern Michigan and bought a 2015 VW Golf TDI from Hall. They worked with me over the phone and were so helpful. Delivery happened without a hitch, and the car is gorgeous! Mike (Michal) went above and beyond to make leasing a 2017 Volkswagen Passat less of a hassle and more so an experience. He was extremely transparent from the moment I stepped into the dealership, dropping what he was doing to provide me with the information I was looking for, and scheduling a follow-up appointment to discuss the various models and leasing terms. When ... they realized the color I wanted was not in-stock, Mike and his manger scoured the surrounding area, and within a day, found the exact color and model I was looking for. The deal process was finished within four days and during that time, Mike was incredibly professional and a pleasure to deal with. He never once tried to take advantage of me, as a 22 year old leasing his first car, and was incredibly flexible and accommodating to my financial constraints. Every aspect of the vehicle and leasing terms were explained in detail by Mike. I had visited competitors in the area, but the relationship and trust he established within the short span of four days ultimately closed the deal for Hall Imports. Mike is an incredible asset to your firm, and has locked in my business for the foreseeable future. Hall Imports will be the first place I look for a car after my lease is up, and the first dealer I suggest to my coworkers and fellow Marquette graduates looking for a new vehicle! I have been car shopping for about a month and have encountered poor service. I came to Hall to meet with Scott about a vehicle I was interested in and everything went seamlessly. He explained everything about the vehicle to me and worked with my budget to get me into the vehicle I wanted. I will definitely be back for future car purchases and will recommending Scott ... to friends and family. When you don’t want to settle for second best. When you want something that’s a cut above the rest. Get a Mazda. At Hall Mazda of Brookfield, we have all the great Mazda vehicles that you know and love including the ever-popular Mazda CX-5 and the Mazda CX-3, Mazda6, Mazda5 and Mazda3. We have the Mazda selection that you need in Brookfield. If you live in any of the surrounding communities, including Milwaukee, Wauwatosa, Greenfield, West Allis, Waukesha, MenomoneeFalls, and Elm Grove, then you need to check us out. We even have a great pre-owned selection that will never fail to impress, including a huge selection of Certified Pre-owned Mazda vehicles. We are not your typical dealership in the area. Our history doesn’t go back just a decade, or even two decades. It goes all the way back to 1926, and the Hall family passion for all things automotive goes back even further. That’s right, we are a family owned dealership, and we always have been. We are going on our fourth generation now, and we always pride ourselves on providing great customer service to all our patrons. If you need a new Mazda, a used Mazda, Mazda service, or Mazda parts, then Hall Mazda of Brookfield is the dealership for you. Check out our amazing inventory online, read through our history, or even come to visit us in person. We look forward to seeing you soon.